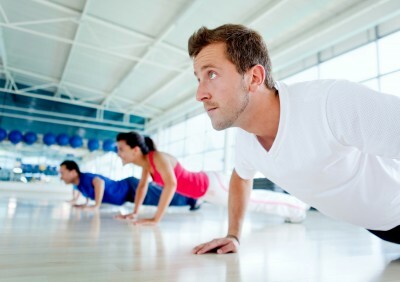 There are many benefits of strength training for people of all age groups and both genders. Strength training uses resistance to condition and strengthen your musculoskeletal system while improving endurance and muscle tone. As you get muscle via strength training exercises, you can condition your body in such a way that it burns fat efficiently. Muscle tissues need more energy for sustenance than fat, so muscles take up more calories. Apart from that, even as you are not training, your body keeps recovering from that, and uses up more calories. So basically, strength training can boost your metabolism. This is greatly helpful for weight control over a long term. Strength training helps in conditioning of your heart muscles, thus keeping the heart strong and protecting it from strain. Studies have shown that cardiac patients showed increased aerobic activity when strength training was included thrice per week in their program. AHA (American Heart Association) recommends strength training to lower the chances of heart diseases. Learn how to build strength. Among the many benefits of strength training is increased bone mass. As you might be aware, your bone mass would start decreasing at the age of thirty. Its rate of decrease is about 1% each year. Doing regular strength training is a great way to increase bone mass density. This lowers the chances of diseases like arthritis and osteoporosis. A research at Tufts University proved that strength training routines increase bone density of women, especially those falling in the age group of 50-70. With well balanced muscles, chances of injuries are reduced. When you have strong bones, muscles, ligaments, and tendons, your body will have lower chances of having injuries. With poorly developed muscles, you will have poor balance, and thus lower flexibility. This is why many people fall down easily as they age. When you exercise regularly, your joints will have a complete range of motion, and thus you can boost your flexibility and strength, which will keep you on your feet. Since you will have added musculature and better tendons, bones, and ligaments, you will have a better posture. Your muscles will be strong and will help you in sitting and standing. There are many people who have type 2 diabetes. Studies have shown that just by changing their lifestyle, they can manage it easily. About 16 weeks of strength training would show great improvements in body glucose levels. From "Benefits of Strength Training" Back To "Faster, Stronger, Better – Your Shortcut To Improved Athletic Performance"